Q. How does my pet pick up fleas? 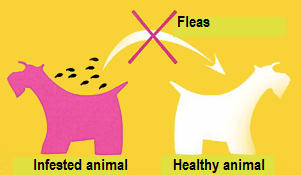 A. It’s a myth that our pets get fleas direct from each other, this is not true! 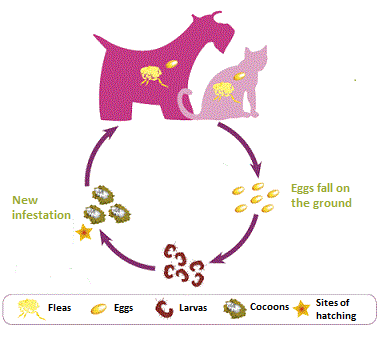 Pets get fleas from contaminated environments. For example, your neighbours may have untreated pets, or wild animals like foxes, hedgehogs, birds or rats may come into your garden and drop nasty flea eggs which then develop into cocoons. When your pets walk through this area, this will stimulate fleas to hatch out of their cocoons and jump onto your furry friend, who can then bring them inside – which no one wants! Q. How often should I apply FRONTLINE®? A. Treat all dogs every 4 to 8 weeks throughout the year. Treat all cats every 4 to 5 weeks throughout the year. If you live in a high flea risk area, at times when the outdoor flea population is higher than usual (such as summer) you should consider treating all cats and dogs in the home every 4 weeks, rather than the longer treatment interval that you use in autumn and winter. Q. What are the signs of a flea infestation? A. One in five cats and one in 10 dogs are infested with fleas at any given time, yet around half of the owners do not realise when their pet has an infestation. Unprotected pets can pick up fleas from the garden, park or an infested home – wherever wild animals, stray cats and other unprotected pets have been. Signs of flea infestations include scratching, biting or licking more than usual, inflamed skin and fur loss. Fleas may also be spotted on the fur or around the ears of the animal. Q. How can the house be contaminated? A. The adult fleas that are killed by the product used on your pet are only part of the problem. These fleas will already have laid eggs that have fallen into the home, resulting in a home infestation. It is therefore essential to treat the problem in the home (if it is evident that people are getting bitten themselves or if there have been any breaks in treatment) as 95 per cent of the flea lifecycle is eggs, larvae and pupae, and only five per cent is the adult stage which feeds on your pets. If left untreated, an adult flea can lay up to 50 eggs a day. These eggs continuously fall off the animal wherever it goes, before hatching and jumping onto new hosts when they sense body heat, vibration and carbon dioxide. Frequent vacuuming and washing pet bedding above 60 degrees will help to reduce the number of eggs, pupae and larvae in the environment. Q. 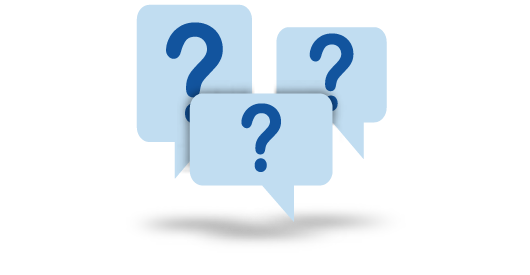 What is the best way to resolve a home infestation? A. If there is a pre-existing home infestation or there has been a gap in treatment, follow these steps. Treat all pets with a suitable product every 4 weeks for at least 3 months (sometimes it can take a bit longer to fully resolve the problem). Use a home spray that contains an adulticide and an insect growth regulator. These ingredients won’t kill the flea pupae already present in the home, but they do reduce the number of eggs and larvae that go on to develop into pupae and therefore decrease the time it takes for the infestation to be resolved. Vacuum more frequently than usual and focus on areas under furniture, nooks and crannies etc. As well as getting rid of the flea eggs and larvae, this will help stimulate the pupae to hatch faster. Remember to shake rugs, cushions and so on, too. By allowing treated pets to access all parts of the home you usually let them into, your pet acts as a ‘living vacuum cleaner’ to kill the newly hatched fleas before they can lay more eggs. Because of this, it is normal to see fleas on treated pets during this time. These newly hatched fleas will die within 24 hours, before they are able to lay eggs which would infest your home. Wash all pet bedding at 60°C to help kill eggs or larvae that may be present. Q. Can my pet build up an immunity to fleas and ticks? A. A. Pets do not generally develop immunity to fleas and ticks, so they can become infested whenever they are exposed to these parasites. Therefore, it is important to regularly treat your pet with a suitable product, such as FRONTLINE® Spot-On, to prevent infestations. Q. I’m only seeing fleas on one pet, do I need to treat the others? A. Yes. Some pets groom more than others so it is possible to see many fleas on one pet and not notice any at all on the others, despite them being exposed to equal numbers outdoors. If you only treat one pet, any others will be bringing in fleas that then go on to lay eggs and infest the home. This is especially common in cats due to their inquisitive nature. They can explore heavily infested areas before coming home and grooming most of the fleas off before you notice them. Q. Why am I still seeing flea droppings in my pet’s coat after treatment? A. If you still see fleas or flea droppings on your cat or dog after treating them, it would be natural to think that the flea treatment isn’t working. Like many things in life, it’s not as simple as that! Modern flea treatments, such as FRONTLINE®, don’t work by stopping fleas from jumping on your pet- they are effective at killing newly arriving fleas within 24 hours. The flea life cycle is such that the fleas that are seen on your pet are only a small proportion of the total flea population. 95% of the problem exists in the pet’s environment as flea eggs, larvae and pupae (cocoons). New fleas can jump on your pet at any time from an infested environment. That is why it is normal to see some fleas on a treated pet. Each new flea takes up to 24 hours to kill. Because it's very hard to tell fleas apart, it’s easy to see why some people think that the product isn't working when actually it is continuing to kill fleas – you are simply seeing different fleas each time that will be killed soon. It can take up to 3 months to fully resolve a flea infestation (or even longer in some cases)- see “What is the best way to resolve a home infestation?” for advice on eradicating a flea problem as quickly as possible. New fleas that jump onto a pet will have consumed a blood meal and defecated within 5-10 minutes of landing on your pet. Fipronil, the active ingredient in FRONTLINE®, will also make the flea become hyperactive before death. Therefore, you should still expect to see flea droppings and lively (dying) fleas whilst treatment is being used after your pet has been exposed to a flea infested area, more so during the warmer months when there is generally a higher flea burden outdoors. Q. How often should I check for ticks? A. You should check for ticks daily, especially after your pet has been outside. 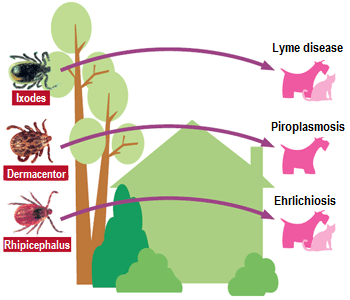 Ticks are commonly found in areas of woodland, urban parks, grassy pasture and heathland, so it’s essential to check your pet if you have been walking in these environments. Q. How often do I need to treat my pets? A. A. Every four weeks. Ticks have been found to be active even in cold winter months, so you should treat all year round. Remember FRONTLINE® Spot On is not a tick repellent so you may still see some ticks on your pet. They should be killed within 48 hours. Ticks will often drop off once dead, but any remaining ticks may easily be removed. Removing a tick needs to be done very carefully so as not to leave the mouthparts behind in the skin (which can result in infection). Special tick removal tools and hooks are available- for instructions on removing ticks ask your vet. It is important not to try to burn the tick or pull it off with your fingers, as this could lead to incomplete removal of the tick. Q. Can you (or your animal) get sick from a parasite bite? A. A. Bites can cause irritation and infection, but more importantly there is the potential for other diseases to be transmitted to you or your pet after being bitten. For example, Lyme Disease, which is becoming increasingly common, can be transmitted by ticks to your pet after approximately 36-48 hours of it becoming attached. A. A. No, FRONTLINE® kills fleas and ticks through contact with your pet's haircoat. However it will not stop them from biting your pet (it is not a repellent).